LONDON - Lisa Roley has worked at Nissan Motor Co.’s car plant in Sunderland, U.K., for the past two decades. Like the majority of people in the city, she also voted to leave the European Union in 2016. Sunderland’s enthusiasm for Brexit encapsulated the causes of the U.K.’s Trump-style rebellion — a culmination of budget cuts, resentment toward immigration and perceived neglect. Now the city finds itself at the sharp end of the consequences, at the mercy of the protracted and painful divorce from the EU with its economic lifeblood looking more precarious. The car plant, now the U.K.’s largest, became a mainstay of the regional economy. It sustained the area’s industrial heritage after the collapse of coal mining and shipbuilding led to some of the country’s worst unemployment and poverty. Employing 7,000 people and supporting another 28,000 supplier jobs, the factory churned out 442,000 autos last year. Nissan and other carmakers are concerned that Brexit will disrupt the flow of components and finished vehicles across the U.K. border. They’re particularly worried about the possibility of a “no-deal” split, which would introduce customs checks and tariffs under World Trade Organization rules and jeopardize their just-in-time manufacturing processes. Jaguar Land Rover, the U.K.’s biggest carmaker, said last month it would scrap 4,500 posts in response to a sales slowdown blamed on the diesel slump and Brexit. Ford Motor Co. is consolidating U.K. offices, while thousands of job cuts worldwide could threaten its Bridgend engine plant in Wales. And the future of PSA’s Vauxhall Ellesmere Port site is in doubt as it mulls plans for the next Astra. While Nissan has reassured staff about future investment in vehicles already produced in Sunderland, including the Qashqai and Leaf models, there’s concern that the X-Trail decision may prove to be the thin end of the wedge, said Steve Turner, head of manufacturing at the Unite union. Members of Parliament representing Sunderland voted against the government’s current Brexit deal and want to avoid what they see as a catastrophic hit to the region’s economy. A poll by the local newspaper, though, found that most people wanted to carry on with Brexit regardless of how it unfolds. Some Nissan workers said they aren’t sure how serious a threat Brexit represents. They declined to be identified by their full names because of the sensitivities around the plant when talking about politics. David, 19, who had just finished an eight-hour stint working on the Qashqai and Leaf, said there are conflicting views among colleagues. Some reckon many jobs will be lost; some say that it’s just lies, he said. Heading home after a shift, others stood by their Brexit vote. A maintenance engineer for Calsonic Kansei Corp., which makes parts for Nissan, said the X-Trail decision was a blow, but was not as bad as it was being portrayed. His frustration was with the time it’s taking the government to implement Brexit more than 2½ years after the referendum. 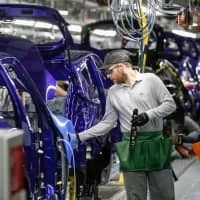 Another reason Nissan’s decision not to build the X-Trail in Sunderland has hit home is that Prime Minister Theresa May’s government moved quickly to safeguard the company’s U.K. investments in the wake of the 2016 Brexit vote. 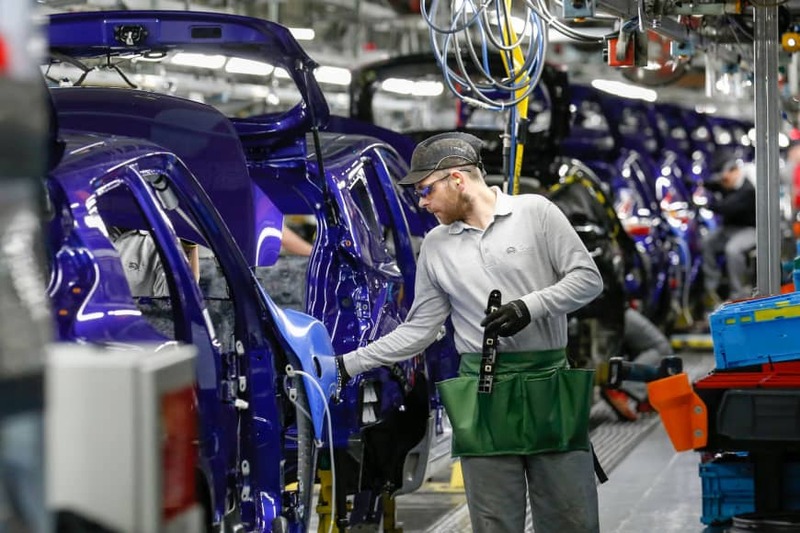 Business Secretary Greg Clark revealed Monday that Nissan was awarded £61 million (¥8.7 billion) in grants, contingent on building the Qashqai and X-Trail in Sunderland. That money is at risk if it reneges on the deal, he said. Taxi driver Johnson said the 61 percent “leave” vote in Sunderland, the first district to declare for Brexit in 2016, was motivated by concerns about immigration and jobs, but overlooked the economic benefits of EU membership.